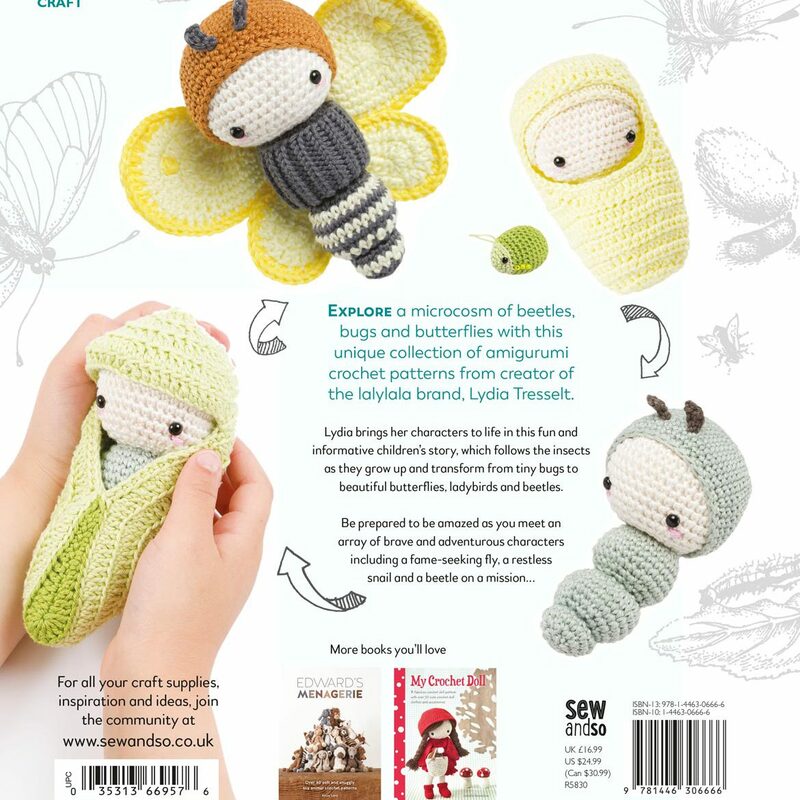 Hello bug lovers and crochet adventurers! Grab your research equipment (magnifying glass, flask of tea, crochet hook, scissors and yarn) and follow us into a world full of magic and science, a microcosm of tiny creatures and big dreams! 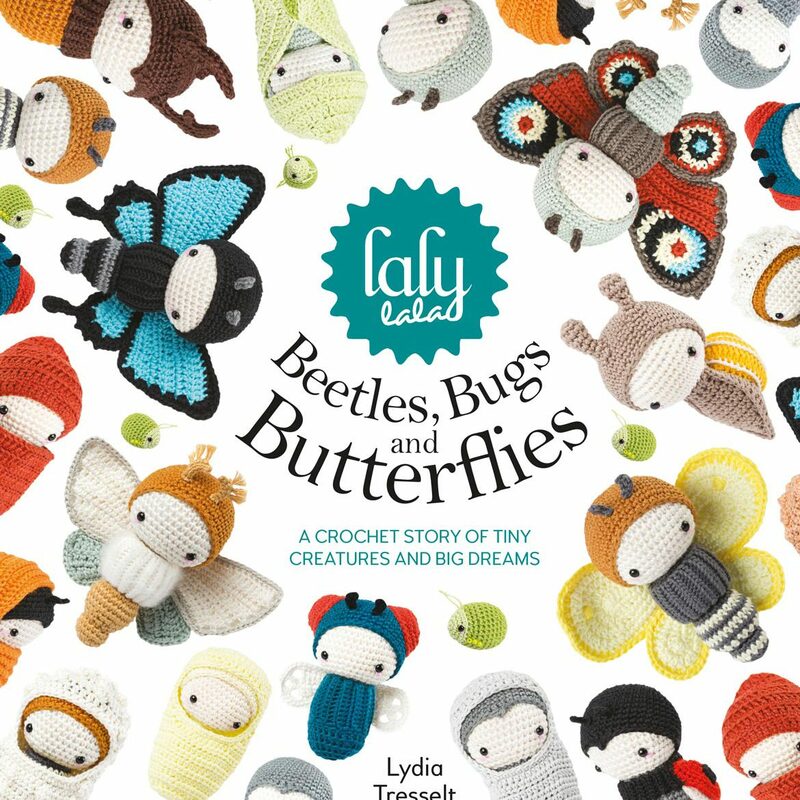 In this book you will find not only a charming selection of crochet patterns to create scrabbling beetles, beautiful bugs and fluttering butterfly crochet amigurumi, but also a wonderful story to read out loud and ponder on: a tale about growing up; accepting change and the power of dreams. Watch tiny creatures hatching from their eggs, look on as they munch through a green world, and be astonished at their marvelous transformations when they finally slip out of their cocoons. 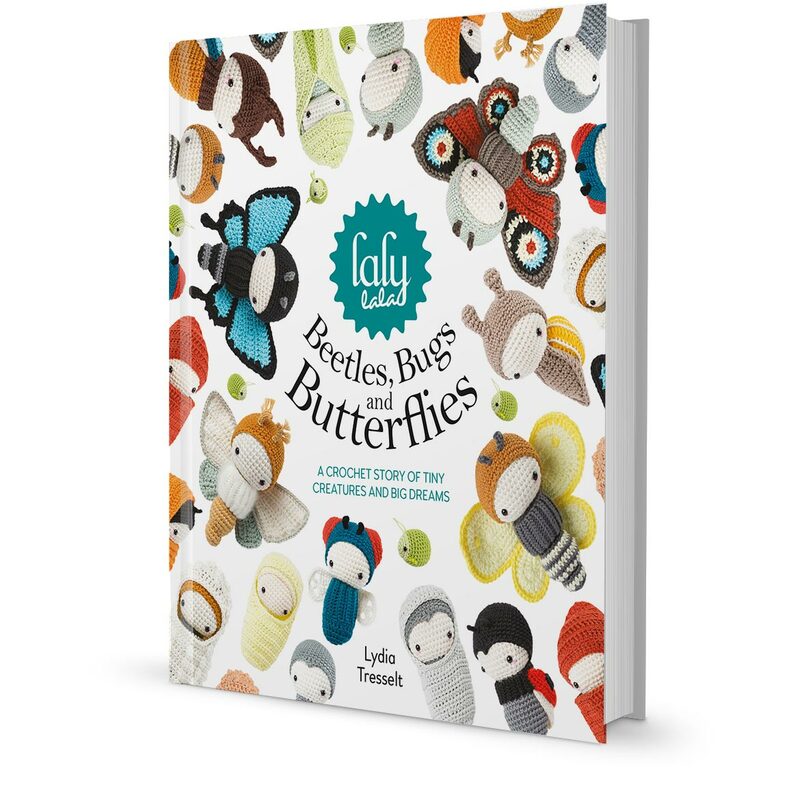 The wings and hats are interchangeable so you can use the patterns in this book to create new outfits for your little insect friends. Give your caterpillar a new set of wings for every day of the week, or cover your beetle in the most colourful wing suits. Be inspired by nature to make creatures of your own creation. It’s a great little world full of possibilities. I wish you lots of fun on your journey of discovery and learning! • BONUS PATTERN: Every pre-ordered book comes with a little bonus pattern for a cute extra character you won’t find in the book! • SIGNED: The book will be signed by the author – which is me :) hooray! • DEDICATED: I’d also be excited to add a DEDICATION – to you personally, or to a person you want to gift the book to. Please send any wish for a dedication in the comment section with your purchase. • GIFT WRAPPED: Your book will be carefully gift wrapped. Your book will be shipped in a stable cardboard envelope with regular postage on publishing date (October 27, 2017).